I read this article and found it very interesting, thought it might be something for you. The article is called Lil Mosey and is located at https://www.totallydublin.ie/event/lil-mosey/. 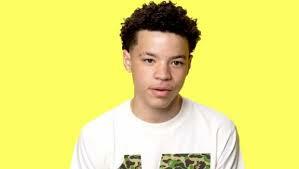 On the eve of turning 17, Lil Mosey turns up in town. What we have gleaned from our exhaustive google research of this ‘sensation’ is that Pull Up is his banger single with over 20 million YouTube views. Each track on his debut album Northsbest comes with an explicit lyrics warning. His Christmas single K for Christmas informed us that ‘Hunnid K’ is a Vape Juice. We’re gonna sound all Tipper Gore by stating that Lil Mosey sadly sounds like the voice of the next generation content with the degradation of women in the hip-hop lyrics game. Don’t expect to bump into too many Totally Dublin readers tonight. Do expect him on a Longitude line-up.